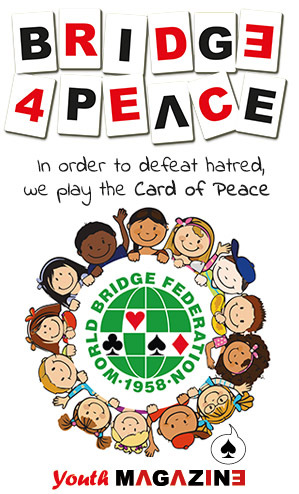 In January, the WBF joins with ECatsBridge in organizing a Charity pairs, held during the last week in January. Funds are raised for UNICEF the international Children’s Charity. This event was started in 2001 following the Indonesian Tsunami, and has raised funds specifically for disasters in Pakistan and Haiti as well as for the general funding through UNICEF. We hope as many clubs as possible will join us and help raise additional money for this amazing charity that does so much good for children all over the world. We do not set an entry fee for this event, we simply invite donations – there are no prizes, no master points, just a chance to play the same hands as everyone else across the world and upload the results to the ECatsBridge servers to see the overall results. You can also enjoy the commentaries afterwards and help some children less well off than ourselves. To enter, all clubs need to do is to email Anna Gudge and tell her which day they wish to play and confirm the name of the club, the country and the name and email address of the person to receive the zip file. The file will be sent out about a week before the event.